Two completely contrasting days with nothing at all to report from a very wet 28th ﻿and another quality July bird in glorious sunshine the next day. 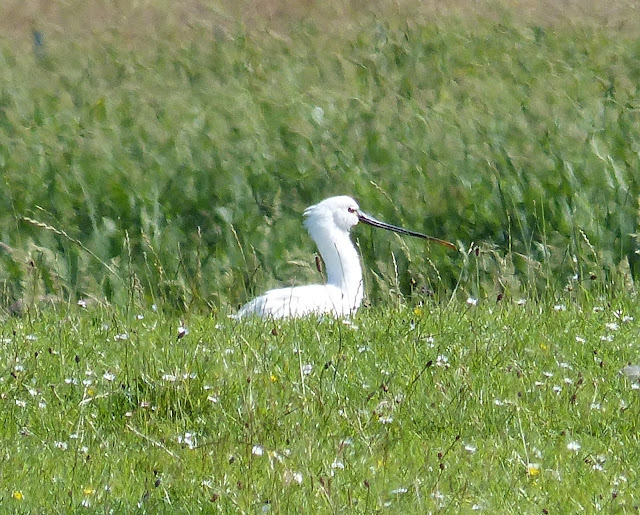 A call from an Islander mid-afternoon reporting a "large, white, Stork like bird" with the Greylag Geese at Hooking Loch, had everyone scrambling for the obs Landrover and a short time later North Ronaldsay's first Spoonbill-an immature was being watched by all. It remained on view for about 20 minutes before taking flight and was last seen gaining height and heading off north. A Green Sandpiper over the Observatory in the evening was also of note while 15 Storm Petrels were trapped and ringed overnight. There are still decent numbers of waders around with 220 Dunlins and 46 Knot among smaller numbers of other common species in the Westness area on a foggy 26th. Another 2 Grey Herons flew north over the island on 27th, when 16 Black-tailed Godwits and 5 Whimbrels went south and the first Rock Pipit for an age was on the coast. A couple each of Painted Lady and Red Admiral butterflies have also been seen in recent days. Apologies for the lack of updates recently-our Internet connection has been down for the last few days. Waders continue to dominate proceedings with Dunlin numbers building to especially high numbers. Most have been frequenting the shoreline at Westness where the 312 counted on 25th approaches the record Island total. There were also 57 Knot there and 182 Sanderlings were noted on the Links the day before. 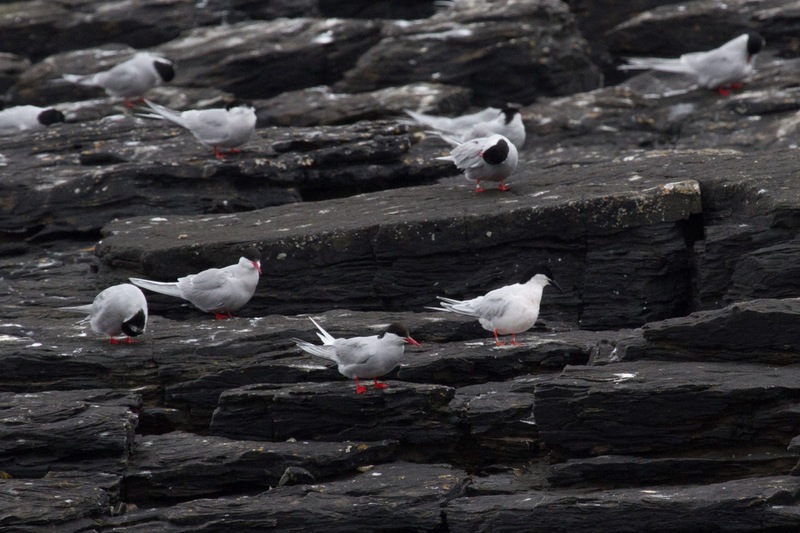 At least 1500 Arctic Terns are still present-mainly non-breeders but considering the current sorry state of the northern isles breeding population were pleased to report half a dozen fledged birds so far with probably another 20-30 likely to follow suit in the coming week. Other bits and bobs include a Black-tailed Godwit and 2 Grey Herons on 23rd and a Woodpigeon and 2 Crossbills on 24th. Very little to report over the last few days bar similar numbers of the same species of Waders and the occasional Swift. Wall to wall fog on 20th-21st hasn't helped, but we've also been concentrating our efforts on trying to catch Storm Petrels during the hours of (partial) darkness to give guests at the observatory a chance to see this stunning little sea-bird up close. A few birds have been caught, while a more lengthy effort on 22nd/23rd with dreams of rarer Petrel species saw a Leach's Petrel heard calling near the net but not trapped. Three Sandwich Terns and 90 Dunlin were the bird highlights on 18th but there was another notable influx of waders on the following day with Dunlin shooting up to 193 and Golden Plover increasing to 940 birds scattered around the island; with them came our fourth Pectoral Sandpiper of the year on Ancum Loch in the afternoon. The big Arctic Tern gathering at Bewan is still present and is still scrutinised in depth most days but nothing else could be picked out in amongst them this afternoon. The Tysties continue to do well including this young bird who is very near fledging. There were still an impressive 1,800 Arctic Terns roosting at Bewan but there was no sign of any other Tern species mixed in with them; the only new birds today involved the continuing turnover of waders with a big influx of 110 Sanderling and 75 Redshank including a flock of 37 seen flying south at sea. One of yesterday's Pochards was still on Hooking along with an increased 11 Wigeon. One of the Roseate Terns was still on the rocks at Bewan today with at least 3,000 Arctic Terns and 120 Kittiwakes - an awesome sight as they all wheel around trying to avoid the attention of several Arctic Skuas which have been attracted to the huge flock, its just a shame that they largely represent locally failed breeders; the first Sooty Shearwater of the year passed by the north end along with 13 Manx Shearwaters and 10 Storm Petrels. Waders also increased with counts including 590 Golden Plover, 310 Lapwings, 60 Redshank, 53 Sanderling, 24 Bar-tailed Godwits and two Black-tailed Godwits while elsewhere there was a Heron and our first two Pochard since late January on Hooking Loch and a House Martin near the lighthouse. In the windy and wet conditions another look through the 1,200+ Arctic Terns still around Bewan Loch revealed not one but two adult Roseate Terns roosting on the rocks along with 70+ Kittiwakes; the north end also provided the rest of the day's bird news with a Black-tailed Godwit, three Whimbrel and a big influx of 97+ Dunlin seen around the loch. Meanwhile, offshore a Manx Shearwater and three Storm Petrels passed through while at least 11 Arctic Skuas and 9 Bonxies harassed the feeding Terns, Auks and Gannets. 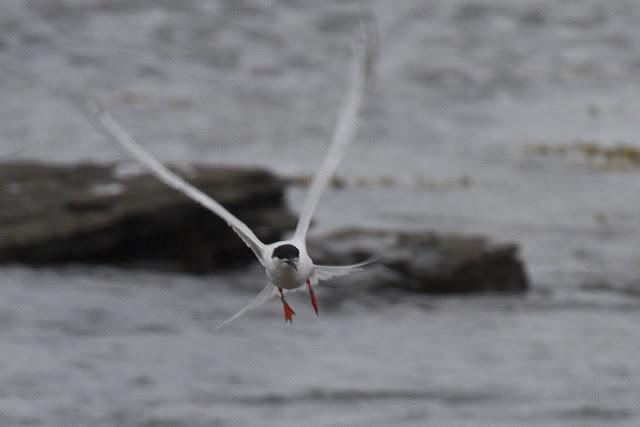 The day's highlight was definitely a cracking adult Roseate Tern found in amongst the 1,200 Arctic Terns which were lingering around Bewan Loch at the north end of the island, it showed well sheltering on the rocks as the wind and rain picked up through the day becoming fairly horrible by late afternoon! Other birds included 37 Dunlin, 25 Knot, two Whimbrel and 300 Golden Plover in the fields and around the north end. Back in May we mentioned a pair of Blue-headed Wagtails that had been lingering around Ancum Loch and speculated that they could settle down and breed, well we can announce now that they did indeed successfully nest and have just fledged five chicks which are now being fed around the Loch - the first Yellow Wagtails of any flava to nest on the island! Migrant wise, its still fairly quiet with most of our efforts concentrated on scanning through the Oystercatcher, Lapwing and Golden Plover flocks in the cut silage fields and looking through the large number of Arctic Terns around the north of the island; eight Whimbrel were new today with three Purple Sandpipers and up to 20 Bar-tailed Godwits also seen. Other birds have been limited to an over-summering Chiffchaff and up to three Collared Doves around Holland House. Our nesting Tysties are well into the swing of things, with this season seemingly progressing more successfully than recent years - fingers crossed that it continues! Its not all counting waders and catching Stormies here at the Obs, sometimes we have to do serious work - such as rescuing this lamb from his own curiosity! A Grey Plover was new at Westness on 9th before our first petrel ringing session of the year proved to be a success with 12 Storm Petrels and a Leach's Petrel trapped overnight. The following morning's netting at Holland House also produced some good birds with two Crossbills and a Marsh Warbler caught in amongst the fledgling Blackbirds, House Sparrows and Wrens. In a similar story to the Pacific Golden Plover at the start of the month the Lesser Yellowlegs was not seen after the evening of the 5th despite all the likely looking spots having been checked thoroughly over the last couple of days. Waders were however, the main focus of the last few days with numbers increasing seemingly everyday as recent counts included 433 Oystercatchers, 291 Lapwings, 434 Golden Plovers, 27 Dunlin, 64 Curlew, 58 Redshank and 27 Bar-tailed Godwits which, along with hundreds of Gulls and Starlings are making good use of the recently cut silage fields. Other birds were thin on the ground with the dubious highlight being the first Canada Goose of the year along with an adult male Peregrine and the first immigrant juvenile Song Thrush. Just a quick update detailing a couple of sightings with three Red-necked Phalaropes seen together briefly on Ancum Loch on the 5th and a cracking adult Lesser Yellowlegs found in the evening of the 6th; initially seen on Kirbest scrape, then briefly along the coast at Brides before finally being pinned down on Gretchen Loch later in the evening where it gave excellent views to the assembled staff before flying off high to the north. 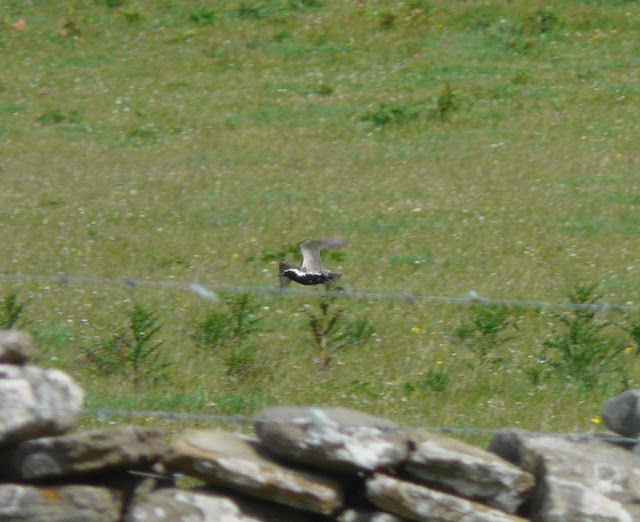 A long overdue first for North Ronaldsay! 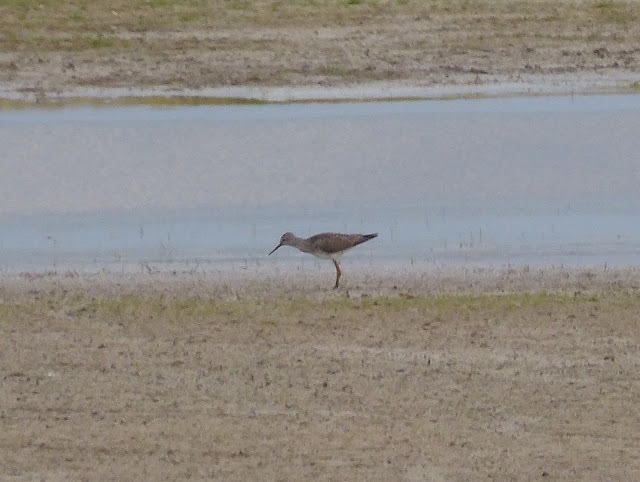 The Lesser Yellowlegs didn't settle until quite late in the evening, so this is the best photo we managed. A quiet day was livened up with a smart male Red-necked Phalarope which showed well on Ancum Loch but elsewhere there was little change with the female Crossbill and Pied Flycatcher still present. Despite searching through the 300 Golden Plovers on the island over the last couple of days there was no sign of the Pacific Golden Plover seen on the 1st; there has still been a turnover of waders on the island with small groups of Black-tailed Godwits appearing in the fields along with small numbers of Curlew heading south and fluctuating numbers of Dunlin in amongst the regular Knot flock around the top of the island. There has been little else of note with a House Martin and a new male Crossbill on seen on 2nd while a female Crossbill and Pied Flycatcher remain. The very long-staying Golden Oriole has been showing very well now that it has developed its new feeding technique of following the fencelines and hovering over the long grass before swooping down to pick out an insect. The beginning of July usually marks a months break in census activities as we try to catch up with a few maintenance jobs about the place and recharge our batteries before the busy autumn. 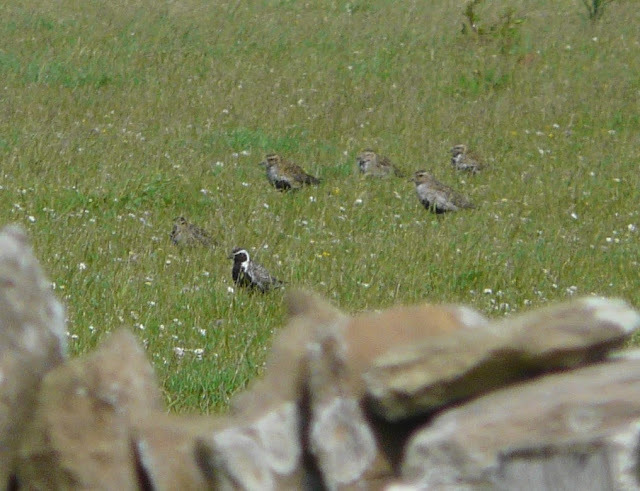 That plan went quickly out the window with the discovery of a fine adult Pacific Golden Plover in the fields at Sandar mid-morning, resulting in a full day in the field. It was typically mobile as it roamed about the Island with the Golden Plover flocks, but showed well near the Kirk around midday before returning to the Sandar area in the evening. The Golden Oriole was also seen several times during the day-having been extremely elusive during the first 3 weeks of its stay it has started to show ridiculously well along the fence lines between Holland and Nouster. 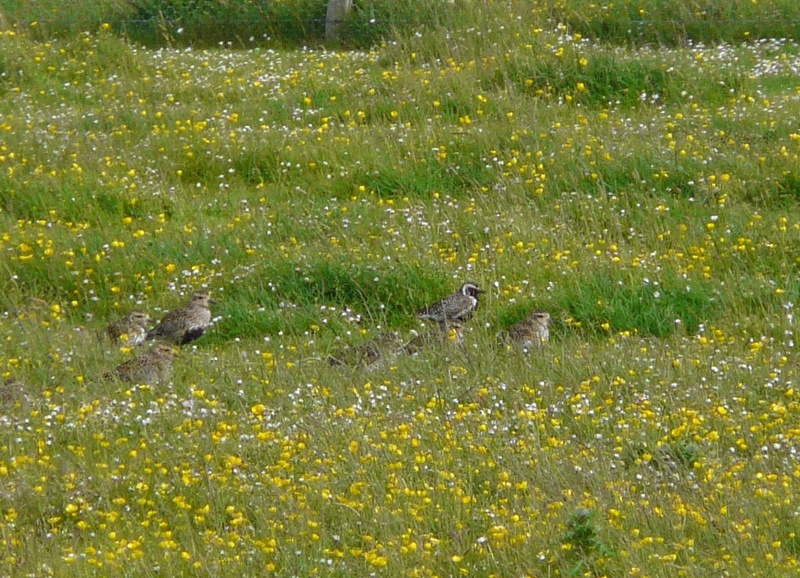 At least 10 Black-tailed Godwits and a Whimbrel were found during Plover searches. A Swift was also seen, while the Crossbill and Pied Flycatcher remain. 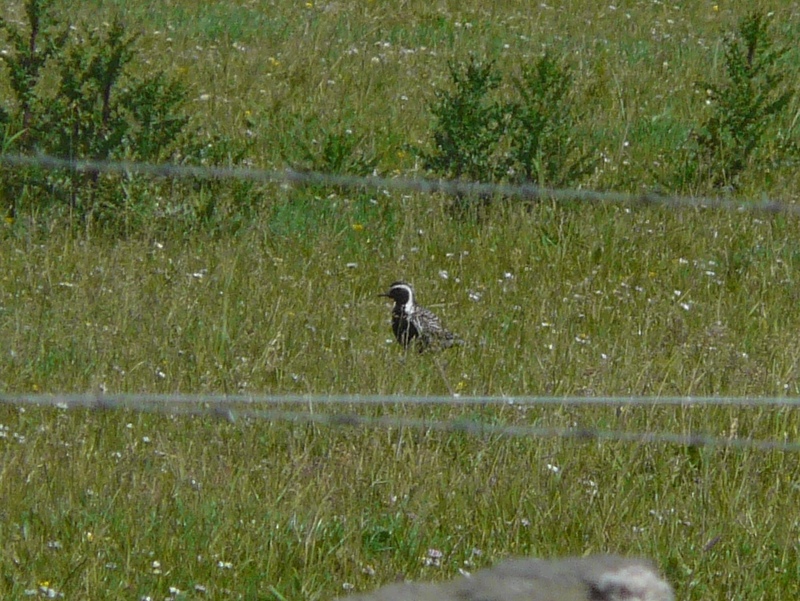 A few record shots of the Pacific Golden Plover. 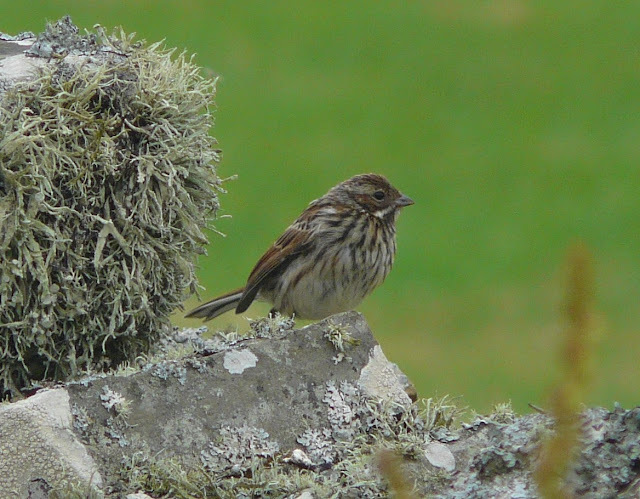 This is the 9th record for the Island-the species really is a North Ronaldsay speciality with nearly half the Scottish records having occurred here.